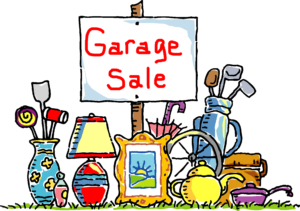 Another HUGE Community Garage Sale Saturday, September 23rd 2017 from 7am to Noon! Reserve your space today in the library parking lot for Saturday, September 23rd from 7am to Noon and we’ll send lots of customers your way! You KEEP all your profits! Let the FOL help you declutter this Fall! If you have things to donate, give those extra items to the FOL booth for our fundraiser. Donations may be dropped off at the library from 2-8pm on Friday September 22nd or rent a space and sell your own treasures. Concessions will be available for purchase courtesy of the Friends of the Library. Proceeds from concession sales and items sold in the FOL booth benefit library programs. Reserve spaces at http://tinyurl.com/FOLGarageSale or drop off your completed registration form and payment in a sealed envelope at the library’s circulation desk. Spaces typically sell out fast so get yours today!